Last summer, when I moved the community half of TC to WordPress, I indicated that we’d eventually get around to moving the journal as well. In truth, I planned to put it off indefinitely because the amount of work it was going to take seemed overwhelming. But four months of easy-peasy article posting spoiled me. When I sat down to put together the December issue the old-school way I knew that was it. It was time to stick a spork in the hand-coding and switch over the journal. The obvious launch date: March, with the first issue of 2014. Normally, I am all about process. But this was not something I wanted to do so much as something I wanted to be done. I’d set up the database in the fall and got the layout sorted out, but then I just let it sit. I was busy with other things; there was lots of time till March! Until, of course, there wasn’t. It was January, and we’d just sent the shortlist notifications for December. That meant our shortlist for the March issue was complete and it was now time to read and make our selections. And it also meant I had less than two months to get the transfer done. Finally, I stopped procrastinating and started. First, the easy part: the submission guidelines, the contest guidelines, the issue covers. The pages that would become, er, “Pages” in WP-speak. That part wasn’t so bad, and once I had it done I felt like I’d accomplished something, and I had the bones of the journal in place. All that was left was to flesh them out. That was the part I wasn’t looking forward to. So instead I set up categories and tags. I fiddled with the permalinks. When there was nothing else left to do, I took a stab at Volume 1, the smallest volume in our archives. New post, copy, paste, futz, save. It was going to take forever to do it this way. I didn’t have forever. I searched the WordPress plug-ins again and found one that imported static HTML pages. Whoa, game-changer. It wasn’t perfect; the resulting pages (“Posts” in WP-speak) all needed to be dated and tagged and individually checked for formatting issues, but it was a giant leap forward and gave me the kick in the pants I needed to finish this project. The hard part was done; what was left was the polishing. Still, polishing can take a long time, if you want to do it right. I got the posts all dated and tagged, and then started in on the formatting. For the last month or so, every time I’ve had a free moment, I’ve worked my way through another issue. One more down, how many to go? It was boring and repetitive. Still, wishful thinking wasn’t going to finish the task. I kept plodding, slogging my way through it. Watching TV? Work my way through another issue. As I crossed the fifty-percent done mark, the weight of the task lifted. From past experience I know if you have to do something 770 times to complete a task, the first time will take you the longest. You haven’t worked out your rhythm; you might miss a step and have to go back, and so on. The first time isn’t the worst, though, because you’re not bored yet. Once your learning curve plateaus, that’s when the weight of the task settles down on you, the reality of how long it’s going to take you really sets in. I have how many of these left to do? Sigh. I am never going to finish this task. And yet, the only way to finish is to continue. To plod-slog your way through it. The only way to get yourself through the first part of such a task is to keep your eyes on your reward for completion: why am I doing this? In this case, to make running TC easier, to save tons of time in the long run. But as you get closer to the end of the task, when the hard part is behind you, you can start to appreciate it for itself. Sure my main motivation was the backend and automating all the tasks that I’d been doing by hand for thirteen years, but that didn’t mean I wasn’t also pleased that TC was getting a fresh look. When I was a kid, I loved the kind of toys you could build things with. 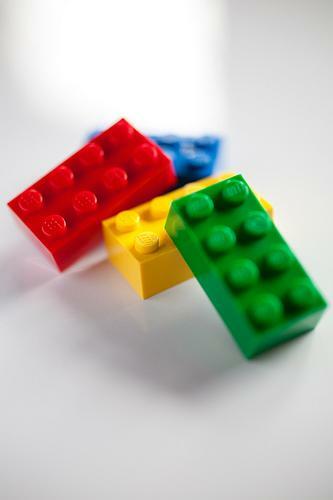 We had wooden blocks, Tinkertoys, Lincoln Logs, even some of our dad’s old Meccano—and, of course, Lego. I liked putting things together, one piece at time, the process–figuring out what to put where next–and the product–seeing what you could make from a bunch of disparate pieces. It always seemed a little bit magic. The thing was, we only had a little bit of each, so while we could build different things, the projects necessarily had to be small. That meant beginning and ending were compressed without much of a slog in the middle. I probably could have stood to do more slogging. At the same time I was snapping together bricks and criss-crossing logs, I was writing my first stories. They were uniformly terrible, mainly because I always wanted to leap directly from beginning to end. I’d have a premise, set the story up—and then I’d jump straight to the conclusion. I’d inevitably skip the middle—you know, the actual story. That middle part, well, it just seemed like too much of a slog, too hard to write it all down (writing made my hand tired!) and couldn’t you just read my mind instead? I was used to things being easy, quick. Slogging was not in my repertoire. But slogging is how you get big things done. Brick by brick, word by word, page by page. You keep plodding, and then one day, you realize you’re not slogging anymore. You’re sprinting, you’re sailing, you’re flying. What once seemed like an impossible task is almost done—and it was you who did it! What an accomplishment. You feel amazing. I know all this now, but still. Starting will always be hard. It’s hard to counter the resistance, to ignore “the omg, this is too much, it’s going to take forever” refrain in my brain, to just begin. And yet, it’s the only way. If you don’t lay the first brick, or the 429th one, you’ll never get to lay the last one. And it’s the last one that’s the sweetest. We hope you enjoy the “new” TC, and whatever your own big project is, keep on slogging. This entry was posted in Issue 14:1 and tagged Beaver, Snark Zone, Theryn Fleming by TC Editors. Bookmark the permalink.